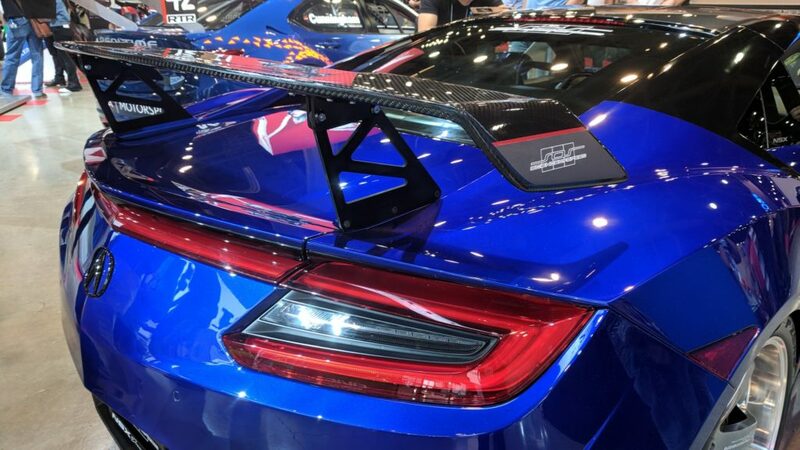 This 2017 Acura NSX spoiler is actually one of the harder custom parts we have made. 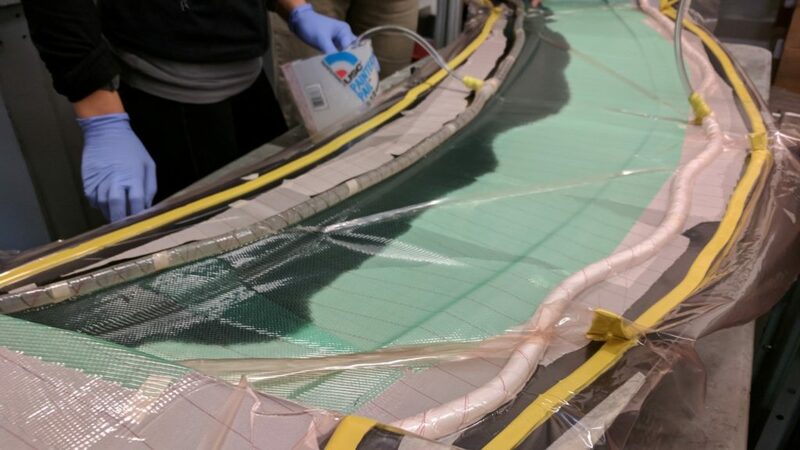 The difficulty comes down to the fact that the seam lines are all visible and difficult to hide and the spoiler must be made in two pieces from a three part mold. The walk-through below is a pretty basic overview of the process. Feel free to get in touch if you have any questions or want to learn more about this project! 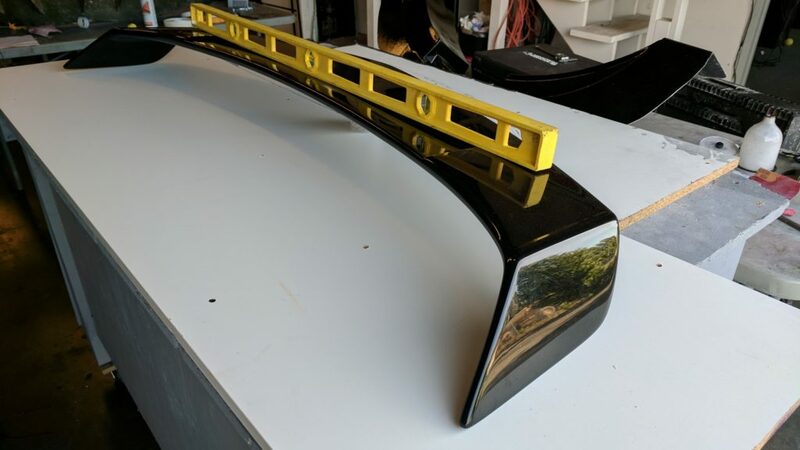 The customer provided this fiberglass spoiler that they had hand shaped and finished to a polish. For the most part, the spoiler was dimensionally stable, but it did have a slight twist to it and wasn’t perfectly symmetric. Overall, very nice for a hand shaped part! 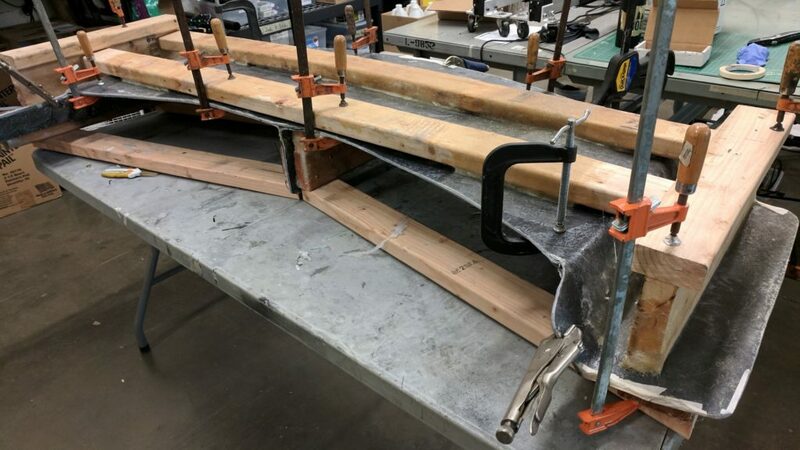 To pull a mold from the spoiler we constructed MDF flanges that contoured the spoiler along its center-line. Any gaps were filled with modelling clay. This method can be used for making a splash mold plug off of almost any part. The mold was then created by splashing off the top side of the spoiler, followed by the underside split in half. This was necessary in order to release the part from the mold due to the undercut on the wings. The end result may not look pretty, but it is effective and cheap! This three part mold is ready to be laid up in! 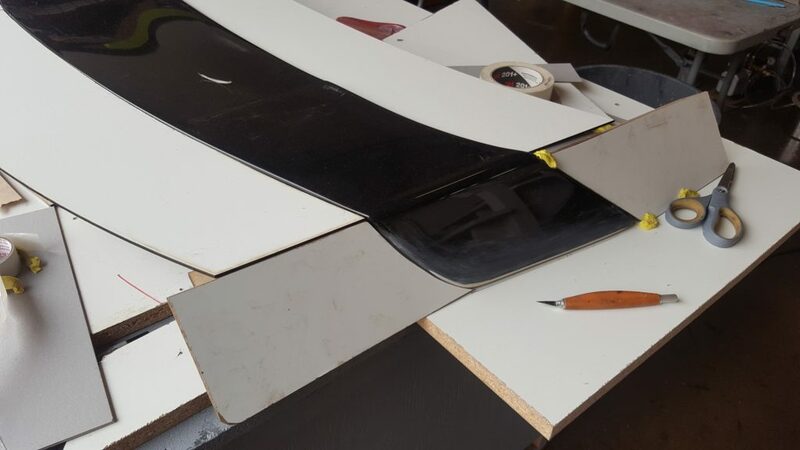 Each half of the spoiler was infused separately via the VARTM process. 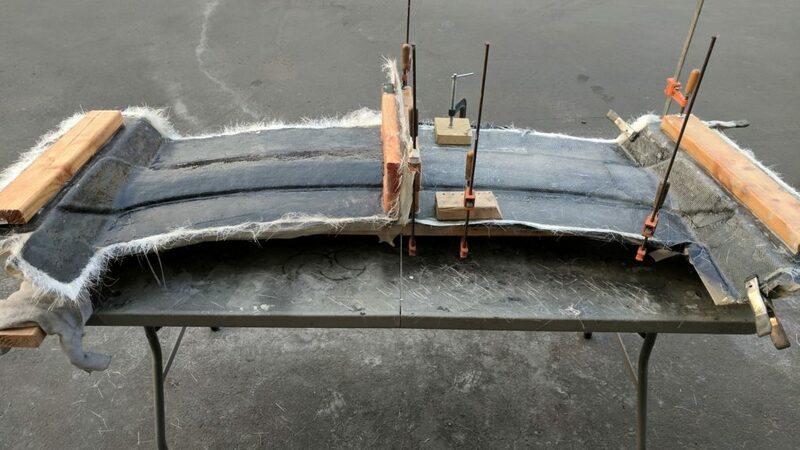 The two spoiler halves were then bonded together within the molds to maintain the original shape. Inside of the two cavities is an expanding foam to form a core for extra strength and rigidity. 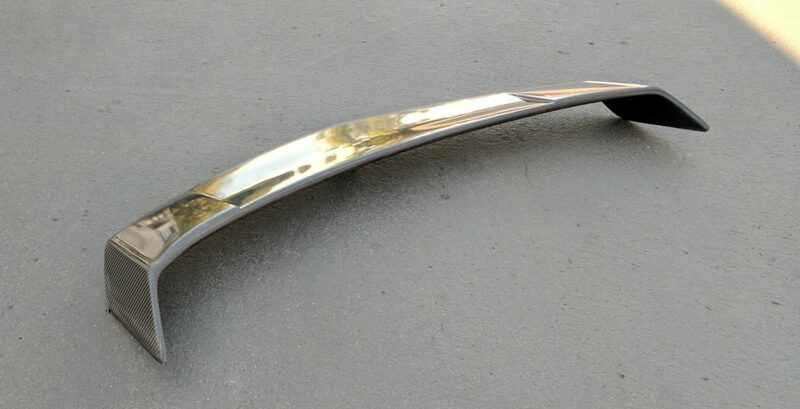 The final spoiler in all of its glory (before getting clear-coated). Featured in Acura’s booth at SEMA 2017 in Las Vegas. Thanks for reading! Use code NSX15 to save on your next order at www.commonfibers.com!